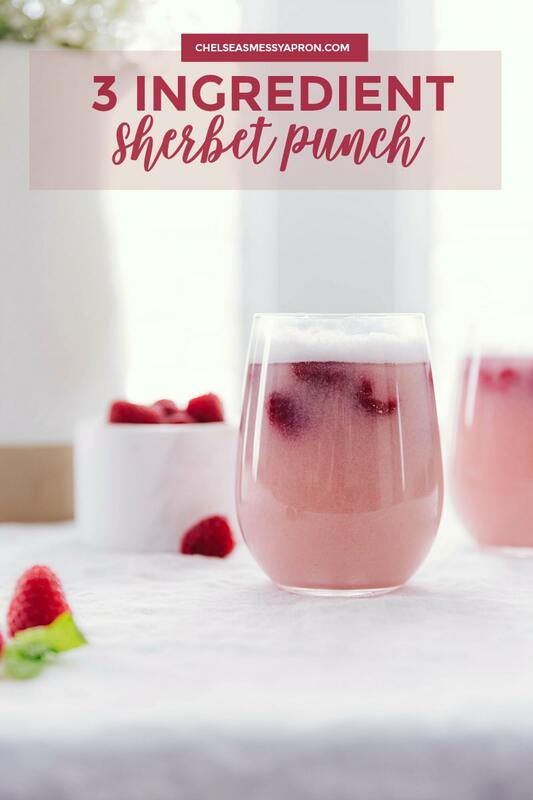 Only THREE ingredients are needed for this delicious Sherbet Punch! 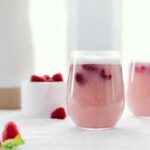 This drink recipe is my go-to for serving at events or parties. It’s always the first thing to go! This sherbet punch uses a classic sherbet flavor paired with fruit juice and soda. It’s gorgeous to look at, delicious to drink, and fast to prepare. Plus, this recipe is so easy to adapt. You can easily change up the sherbet and/or fruit juice for a different flavored (and different colored) punch depending on the event you’re serving it for! There’s nothing like a festive and fun colored drink to tie together an event! Whether it’s a holiday celebration, birthday party, bridal/baby shower, you name it! 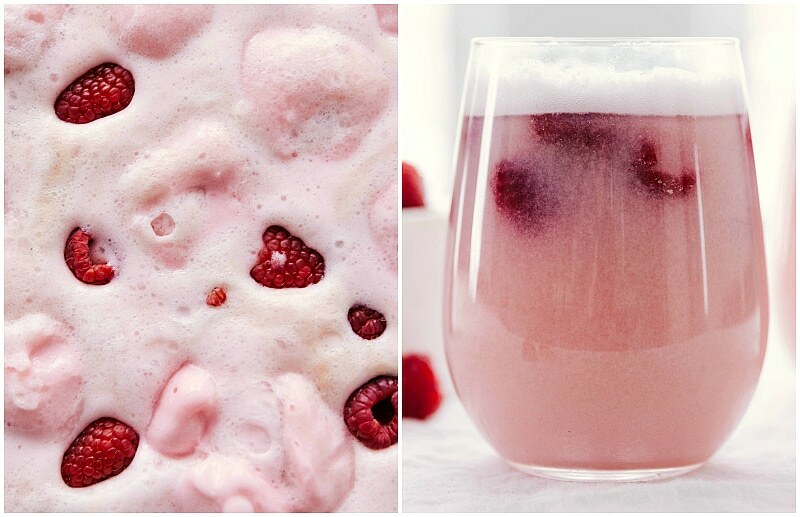 This sherbet punch will quickly become your go-to recipe. The thing I love about this drink too is how easy it is to prepare. Really, it only has 3 ingredients and whips together in a snap. This punch couldn’t be easier to make. Simply mix together some sherbet, lemon lime soda, and pineapple juice in a large punch bowl. Stir until the sherbet starts to combine with the liquid. I like to garnish this drink with some fresh fruit, but that’s completely optional. 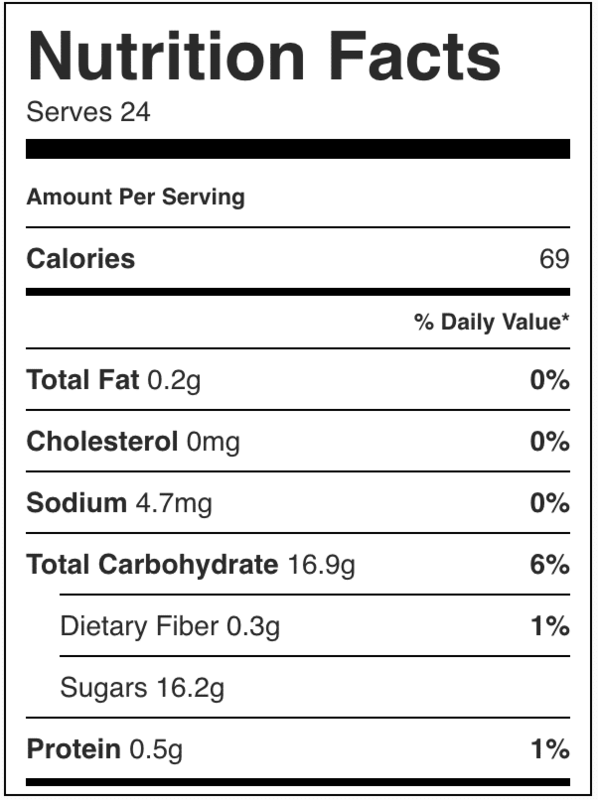 Specific quantities of ingredients can be found in the recipe card at the end of this post. Freeze some sherbet scoops: cover a muffin tin with plastic wrap. 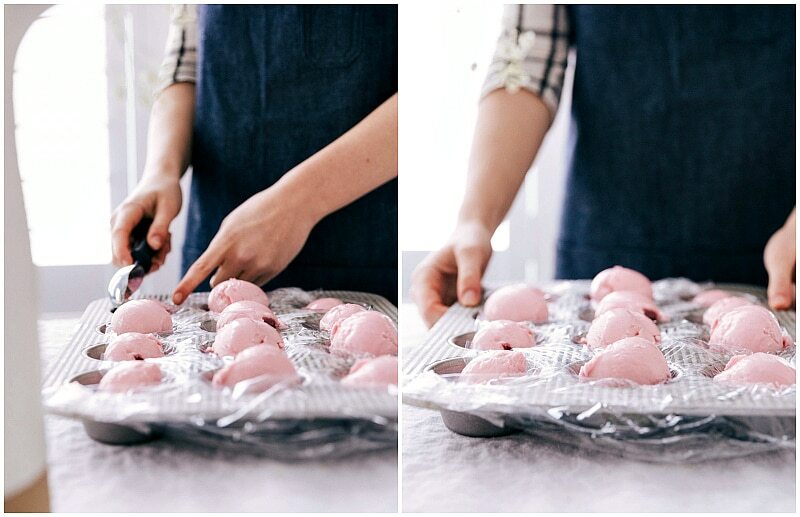 Scoop out even-sized scoops of raspberry sherbet and place one scoop in each cavity of the muffin tin. Cover again with plastic wrap and freeze until ready to serve. When you’re ready to serve, add these frozen sherbet balls into the punch which gives it a really cool look! Make to taste: The quantities I give in the recipe card at the end of this post are what I’ve personally found to be the best, but these are easily adjusted to your taste preferences. Occasionally I’ll switch out the lemon lime soda for Ginger Ale which is also delicious! Garnish: a handful of fresh fruit or fresh herbs adds a gorgeous pop of color to a sherbet punch. I love adding a few fresh (or even frozen!) raspberries to this punch. Lime Sherbet Punch Recipe: Great for St. Patrick’s Day (see more St. Patrick’s Day Treats here), Halloween, or Christmas! Combine 1/2 gallon lime sherbet, 1 (2 liters) bottle of lemon-lime soda and 4 cups pineapple juice. Garnish with limes and enjoy! Combine 1 can (12 ounces) frozen orange juice concentrate (thawed), 1/4th gallon orange sherbet, 1 (2 liters) bottle of lemon-lime soda and 1 can (46 ounces) pineapple juice. Garnish with orange slices and enjoy! Combine 1/2 gallon strawberry sherbet, 1 (2 liters) bottle of lemon-lime soda and 4 cups pineapple juice. Garnish with strawberries and enjoy! Rainbow Sherbet Punch Recipe: Great for any occasion! Combine 1/2 gallon rainbow sherbet, 1 (2 liters) bottle of lemon-lime soda and 1 (64 ounces) bottle of Hawaiian punch. Garnish with maraschino cherries and enjoy! Blue Sherbet Punch Recipe: check out this fun recipe! Only THREE ingredients are needed for this delicious, party-perfect Sherbet Punch! This drink recipe is my go-to for serving at events or parties. It's always the first thing to go! Add half of the sherbet, lemon lime soda, and pineapple juice in a large punch bowl. Using a wooden spoon, stir until the sherbet starts to combine with the liquid. FINISH IT OFF: add the rest of the sherbet (frozen in balls) on top and garnish (if desired) with fresh berries. Mhmmmm I can’t get over how delicious these look! The colors POP and make for some amazing photos! Pinned! I am going to visit my grandparents next week and they have fresh strawberries in their garden, I want to try using them in this recipe, do you think the substitution will work? What a beautiful and fun summer raspberry sherbet punch!! Love this recipes and your pictures are gorgeous, Chelsea! These sound so refreshing! 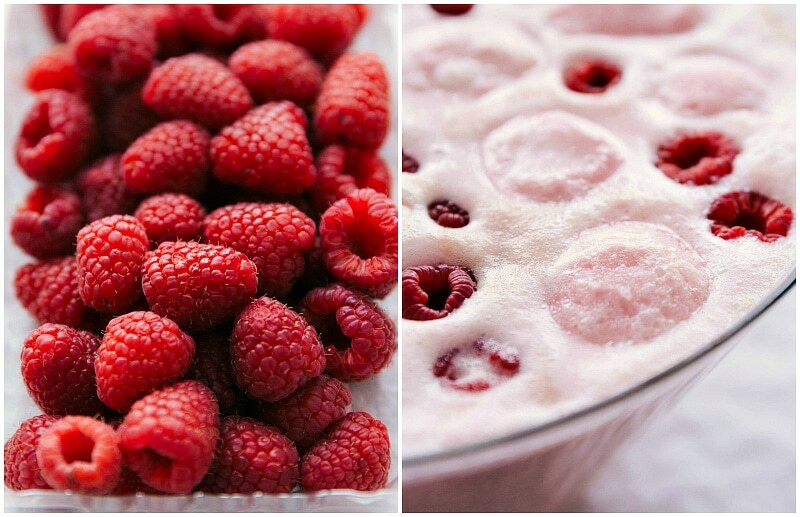 I think that I would like the raspberry most, too! Perfect for summer, and I love that it’s so easy! This looks amazing!! What a beautiful recipe!! I seriously love how bright and spring-y your photos are!! Beautiful!! This looks so pretty and refreshing! Such a fun recipe and perfect for any summer party! Looks incredible! I’m always ready for some party punch. Yum! I’d love to be making this punch right now! Just waiting for the sun to heat up in the UK! The moment it does i’ll be sure to make it for my family. Love the sherbert idea! The kids will too I am sure! Your photo’s are just beautiful Chelsea!